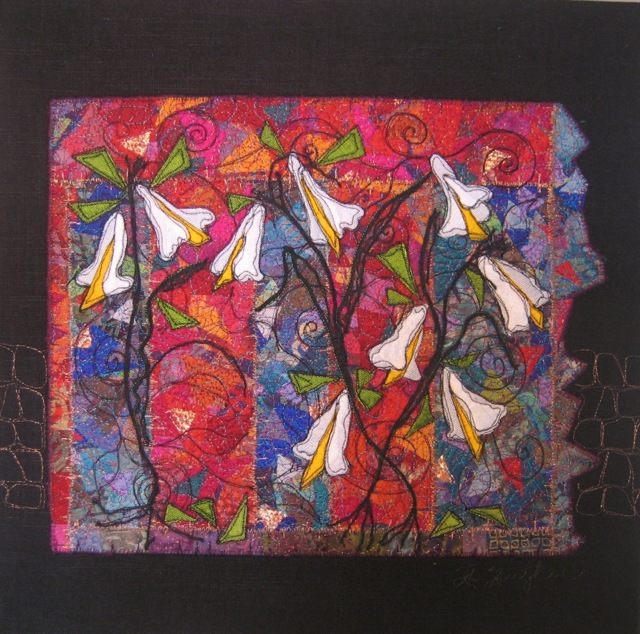 Fibre art by Helen Hughes. 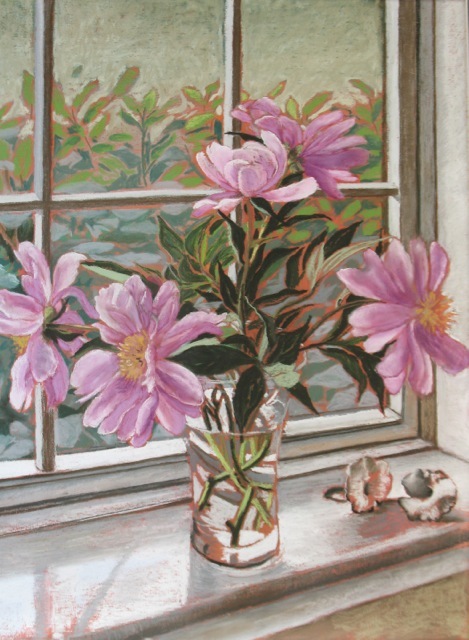 “Morning Blackbird”, pastel by Kim Johnston. 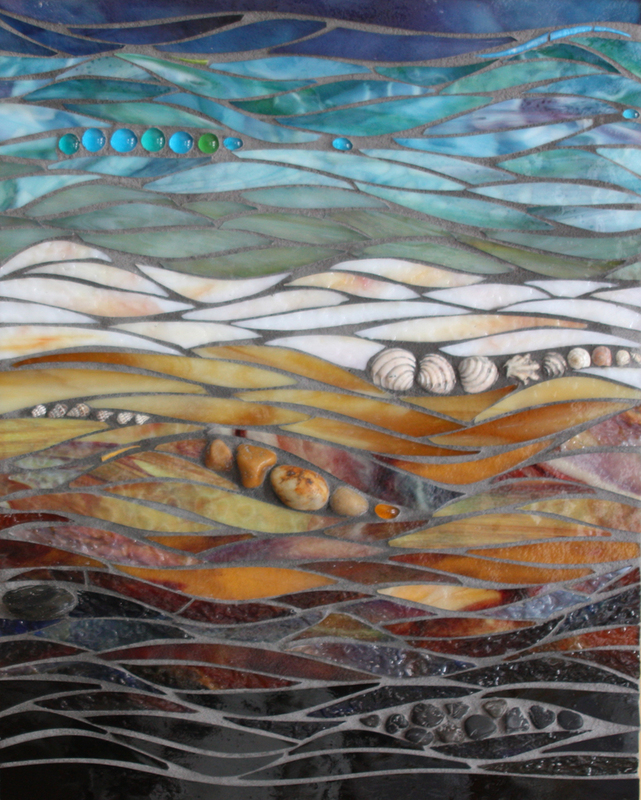 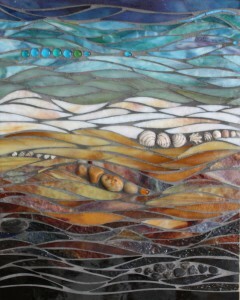 “Dark Seascape”, mosaic by Jean Loney. 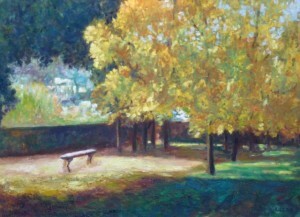 Landscape by Gail Root, oil. 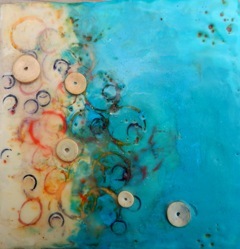 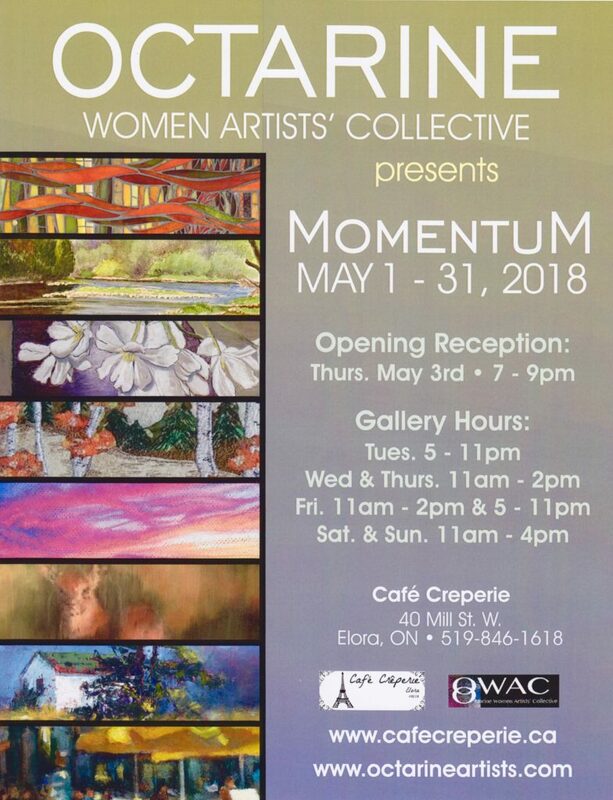 “Sand I”, encaustic by Deborah Dryden. 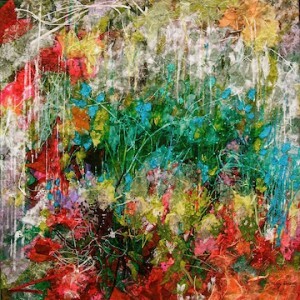 “Raining colour”, paper collage by Mary Karavos. 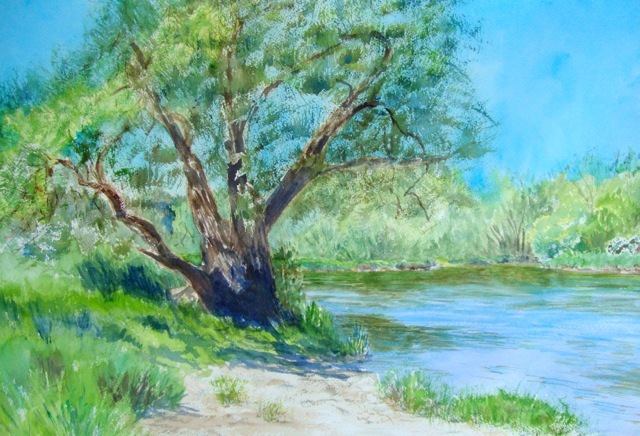 “Grand Day in June” watercolour by Carol Hughes. 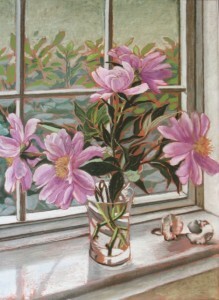 “Peonies in the Window”, pastel by Leslie Miles.